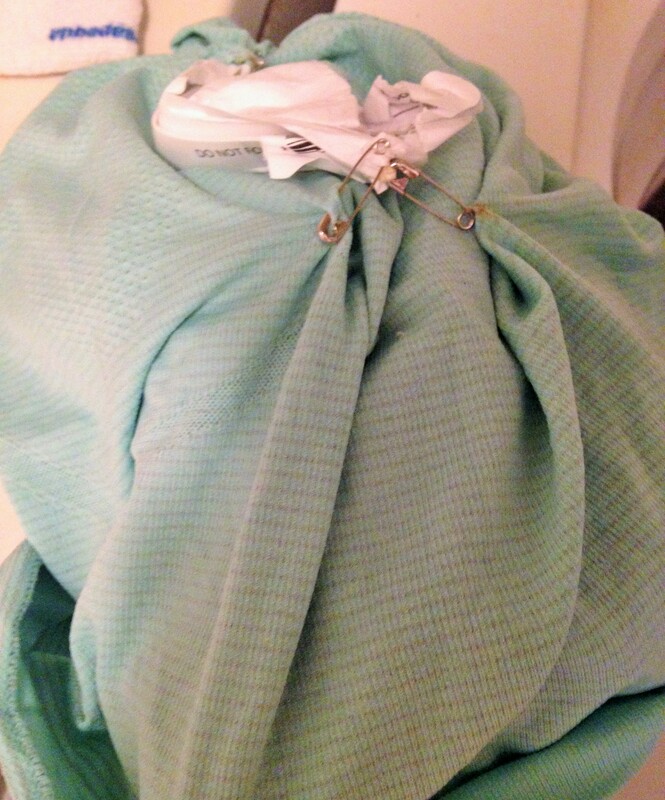 Just because I am a mother does not mean I know how to do laundry. This would be my Run Swiftly short sleeve shirt that I wore for Monday’s race which I seem to have washed with the race bib still attached. And, just because I am a mother does not mean I know how to dress the part. I don’t care how old I am, this shirt is me. In fact, I need to plaster this quote on some running gear, preferably a shirt made of sweat-wicking material, just so the dog walkers and other people I pass while I am running don’t expect me to speak to them. I must be a mother however because today is the first day of school and I COULD NOT BE HAPPIER. It’s time. It just is. We did enjoy some quality mother-son bonding time though yesterday at the Healthy Brand Showcase. 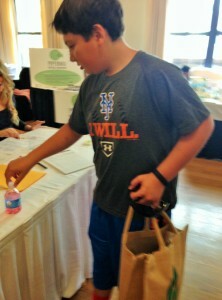 My son was quite busy walking the show and sampling his way through all of the goodies. If you notice, he is carrying the goodie bag at the beginning but by the time we loaded up and were leaving, he passed it on to me. And, since I always tell you the truth, we are lucky he even took this picture without making some form of obscene gesture in the camera. I hope you appreciate my honesty here. Kids are kids and boys are most certainly boys and I am not about to sugar coat that for you. The only thing you will find sugar-coated on this blog is my dessert. There were so many great brands featured this year at the showcase that now we have lots of new products in our kitchen. 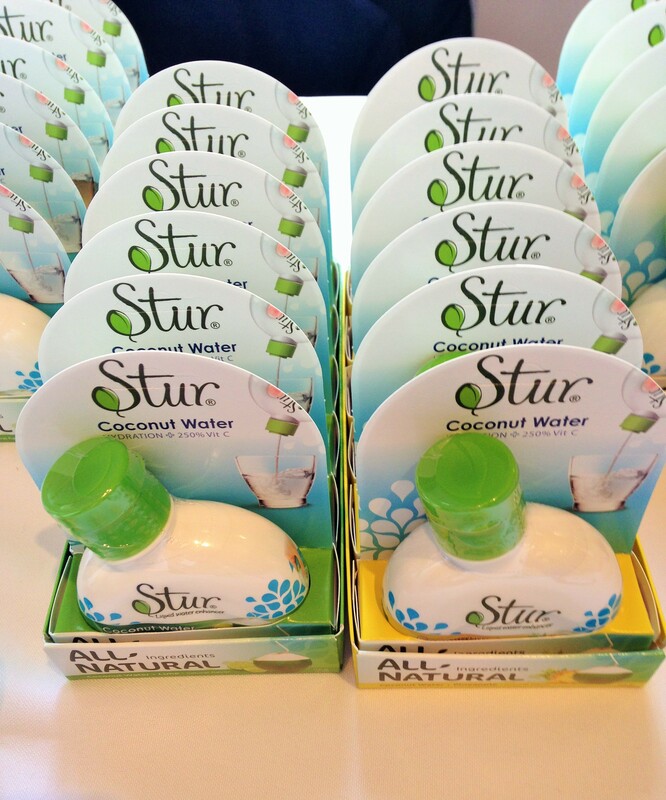 I loved this Stur stuff that you add to flavor your water. Have you seen it already in the stores? The Coconut Pineapple one was my favorite but I do really like the Fruit Punch and the Strawberry Watermelon too. 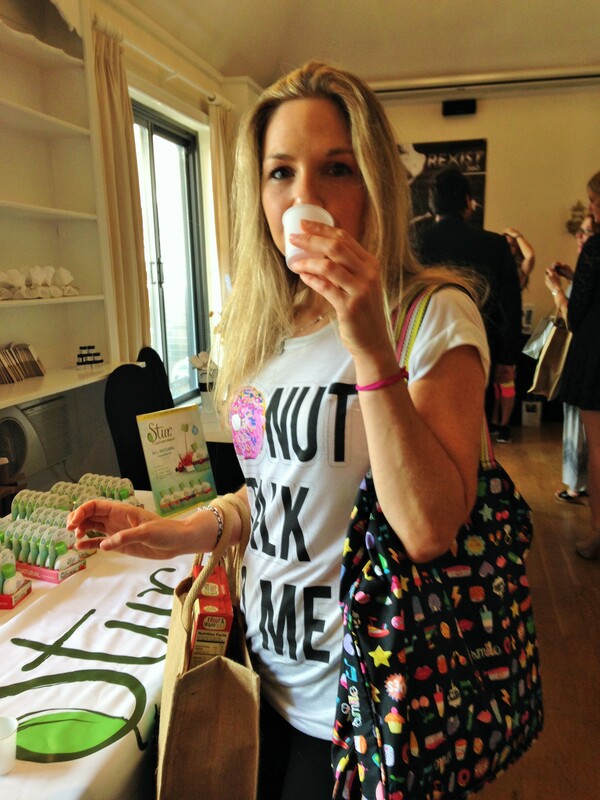 Normally I shy away from products like this but there are no calories and nothing funky or artificial in the ingredients. Ever since we arrived home yesterday, I keep squirting a drop or two in my water. 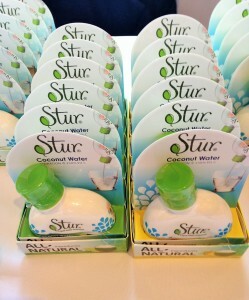 My son needed the Stur waters to wash down all of the Pretzel Crisps he was eating while I was chatting with the vendors. While I have never been a pretzel person (weird, right? I know, it goes along with my not-a-chip-person-persona) I was talking to the brand reps about making snack mixes ourselves rather than buying prepackaged mini bags which can cost a lot of money. 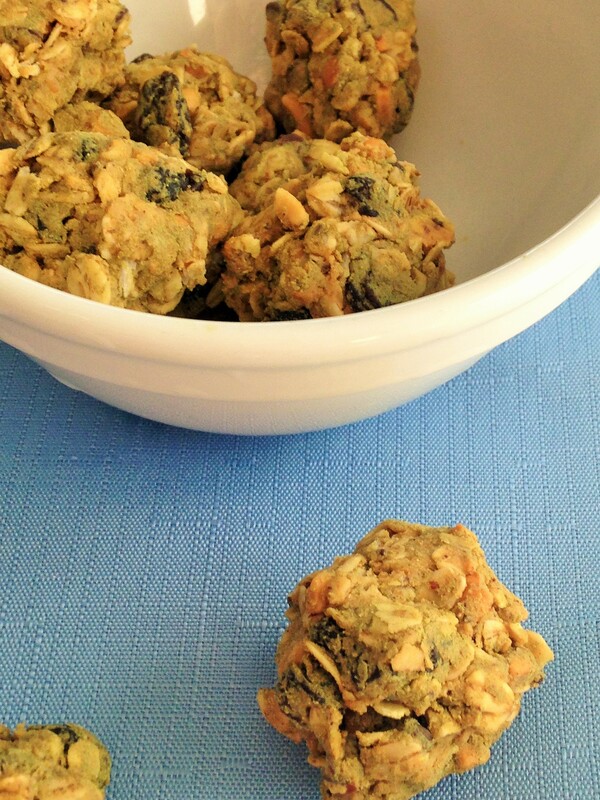 Making your own snack mix also allows you to control the ingredients and portion size. I like to throw together different cereals, raisins and chocolate chips (when I know they won’t melt) and these mini pretzels would be cute added to the mix as well. You know what else I don’t really like and please don’t hate me for it…SOUP. But I think the whole no soup thing goes along with my no smoothie thing. I prefer to chew and while we can argue that some soups are chewable, I just never crave a bowl unless I am sick which thankfully doesn’t happen more than every few years. 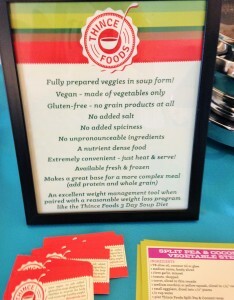 We did sample some tasty Slim On Soup and every time I eat soup, I do wonder why I don’t eat it more often. My son and I really liked the Kale, White Bean and Tomato and we also enjoyed the Split Pea Coconut. I see on their website now that there is a Sweet Potato Peanut which I know I would enjoy as well. 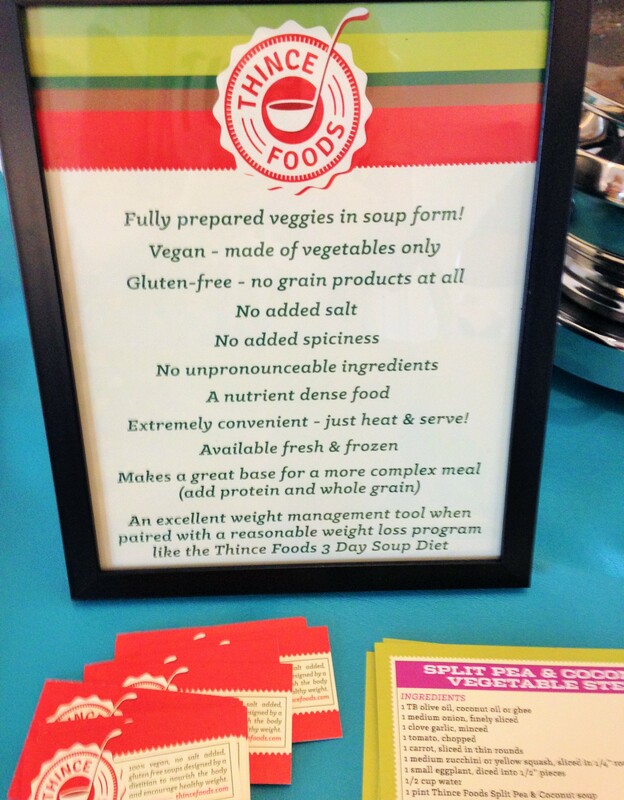 I was talking to the brand rep about other ways you can use soup other than simply eating it straight from a bowl. I may not eat a lot of soup but I do use soups, especially Trader Joe’s Roasted Red Pepper and Tomato in other recipes like sauces and Italian dishes. She gave me some recipe cards which incorporate their soups in other dishes so hopefully their products come to my local Whole Foods stores since right now they are only sold at specific Whole Foods locations. I got really lucky when it came to lunch time. 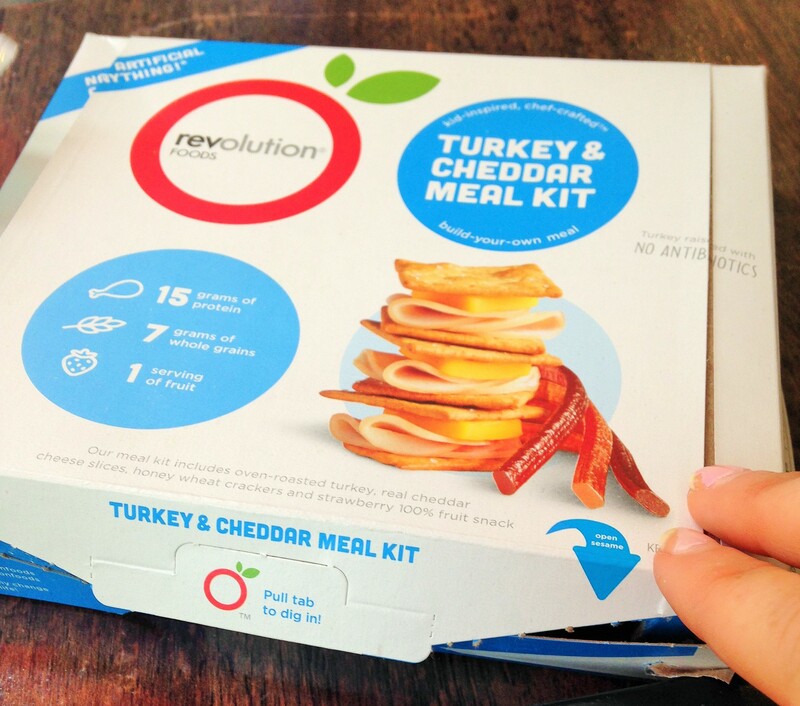 Not only was my son a bit full, he fell in love with the Revolution Foods samples and the lovely brand rep sent us home with their healthy version of the dreaded Lunchable. You have no idea the battles we have had about those Lunchable packages over the years, which to me, is just a box full of sodium, processed ingredients and artificial junk trying to be passed off as not only food, but food for our children. The Revolution Foods box contained crackers, turkey and cheese (both without the nitrates, hormones and antibiotics!) and a fruity thing for dessert. No preservatives or funky ingredients. 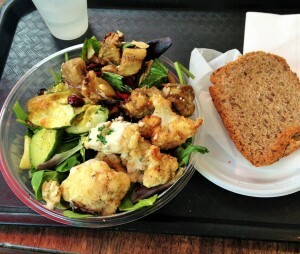 He assembled his lunch while I found myself a vegetarian salad bowl at Delectica. 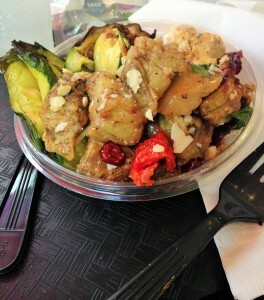 I had my choice of three vegetable dishes so I went with roasted eggplant and zucchini, roasted cauliflower in some type of something sauce, and another eggplant dish. It was so good that I ordered an additional side of the vegetables when I was finished. Oh, and if you follow me on instagram, you already saw the crazy looking contraption on my thighs. I really need to read up more about the Rexist360 resistance bands because they were so totally cool and I was lucky enough to receive my very own set. I need to figure out exactly how to put them on myself as well as exactly what I can use them for although from what I already know, it sounds like you can wear these bands for every workout of your choice for the added resistance to improve your strength, speed and endurance. I would like to figure it all out today because the resistance bands are small and totally portable/packable which is perfect for me for this weekend since I am off to Florida tomorrow! I am flying down real quick for my best friend’s son’s Bar Mitzvah. Did I pack yet? No. I am good at throwing the clothes together but what I really need to focus on are my travel foods since I live in fear of getting hungry on an airplane without an appropriate snack. If you could wear a slogan on your shirt, what would it say? What snacks do you pack for airplane travel? 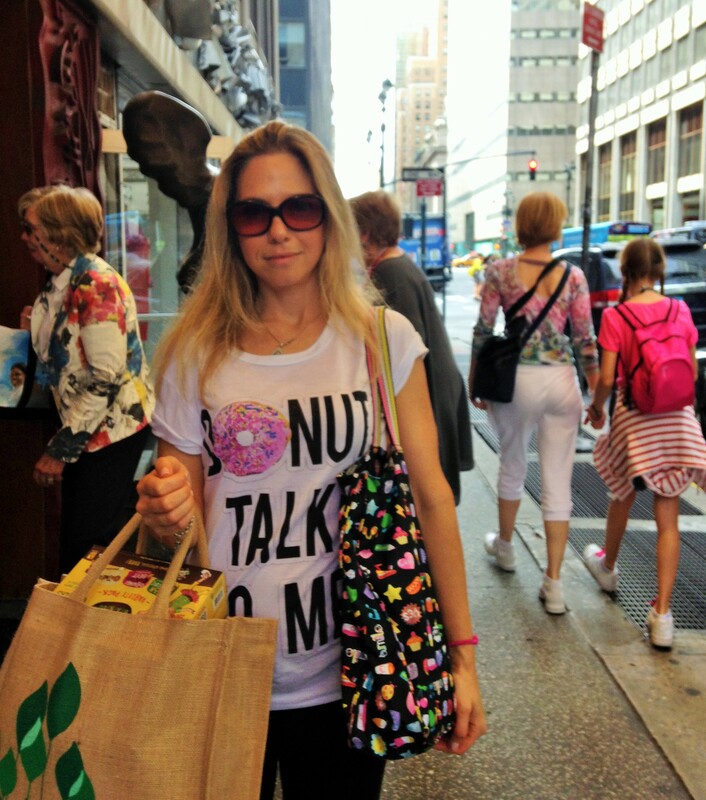 Donut worry; u r the hippist mum i kno! Wow that looks like an awesome expo!!! 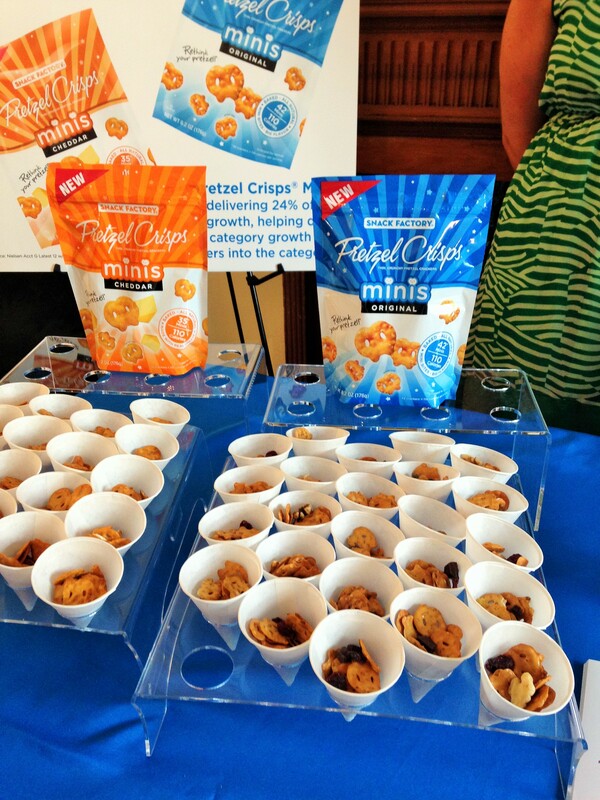 And I’m totally a pretzel person so I want to try those pretzel crisp minis! Hmm for airplane travel I usually just pack a protein bar and/or an apple. I basically try to find things that are easy to eat and won’t get smashed easily! I am with you on the foods that won’t mush and smash. And I absolutely travel with an apple. Plus peanut butter. Of course. I like soup but I used to LOVE soup. Especially chowder. I have since grown a bit wiser. I really need to be in the mood for it. I do love those mini pretzel crisps, but I like just about anything that is abnormally sized. My son is more of a soup eater than I am. He recently fell in love with a corn chowder-type soup from The Cheesecake Factory. He wouldn’t even let me taste it because he couldn’t spare a spoonful which must mean it was great. I think half of my suitcase ends up being food when I travel — biggest fear is definitely being caught on a plane or in an airport hungry. Gah. And while I’m not HUGE on soup and never really end up making it myself, I do actually enjoy it… especially when it’s cold and miserable outside. I like tomato soup, especially a really good one with a side of grilled cheese but it’s not something I eat regularly. I will eat it once, decide I should live on it but then go months without making it again. Um you dress way cooler than my mom ever did. 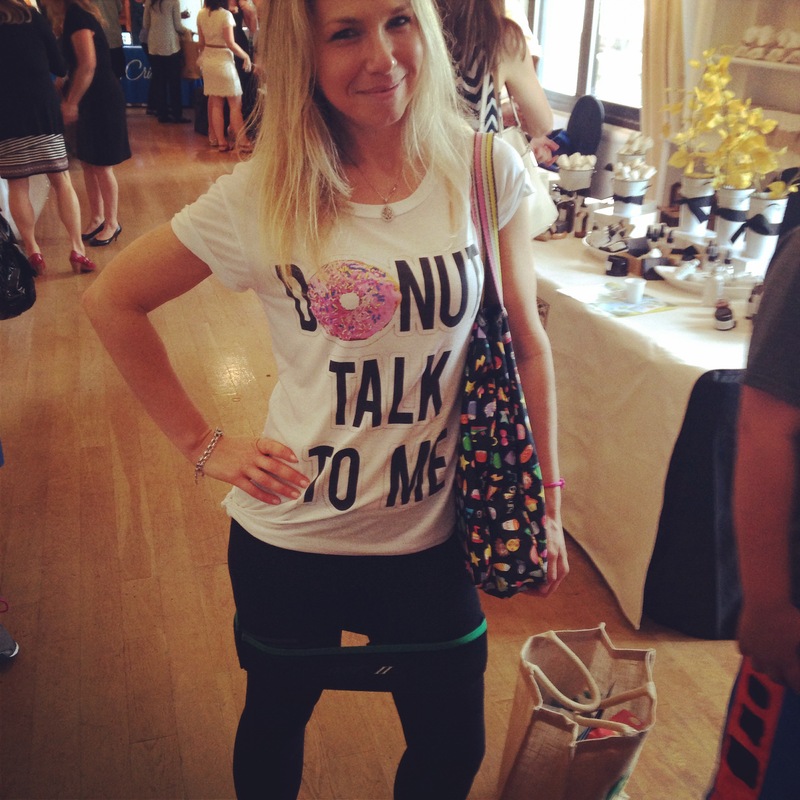 If she wore a shirt that had donuts on it we would be insta-BFFs… even if we aren’t already. Have a good trip to Florida! That showcase looks awesome! So much good stuff! I’m not really into soup, but occasionally its a good option when I’m desperate for something light on a cold day. Smoothies, however, I love! But I don’t really consider them my meal. I usually have one after I work out and then have a real breakfast about an hour later. That shirt is great! I love soup, but only if it is cold outside. When it’s hot, forget it. 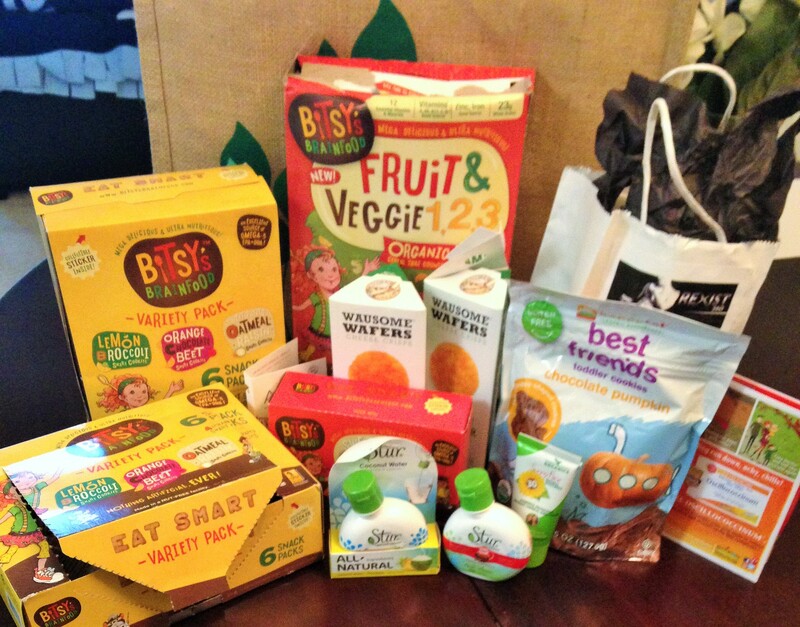 I loved those lunchables with skeevy ingredients growing up…..pretty sure I need those healthy ones too. I’m not a real soup person either.. I feel like its influenced by being a vegetarian so I can’t eat 99% of soups at restaurants and stuff because they use chicken broth. I think a Jamba Juice recently opened near me. I never drink smoothies but you are making me want to try one from there!